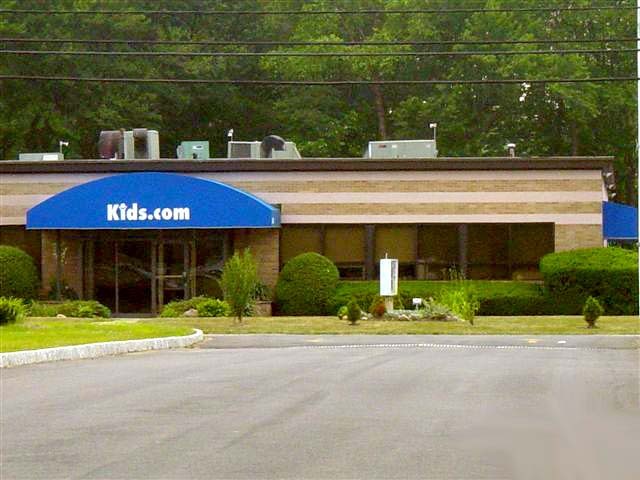 Kids.com LLC (www.justourkids.com), which sends out fraudulent solicitation letters, was now under investigation by the New Jersey Attorney General's Office. The NJ DCA has confirmed it is investigating Kids.com, America's biggest child modeling scam, after four investigative reporters investigated Kids.com. Protect other parents and kids from being exploited, and to get a refund, send your complaint to the DCA. The New Jersey Division of Consumer Affairs also has eight complaints about the company on file, not an unusually large number, spokeswoman Rita Malley said. Most of the complaints came from people who signed up their children with the company, paid the fees, and are unhappy with the lack of modeling assignments but unable to get a refund, she said. The department has not taken any action against the company. But National Talent is violating a state law that requires employment and entertainment agencies to register with the state and post a $10,000 bond, Malley said. The company has failed to do either, contending that it operates a business that is not subject to the guidelines, Malley said. This is a fantastic basis for a class action lawsuit against Kids.com, or even a small claims court case, or simply a state action by the DCA. The reason why the DCA didn't act against NTA was arguably because consumers sent their complaints to the wrong government agency, i.e., they sent them to the FTC instead of the DCA. Parents keep asking how to get their money back. Easy Background Check, having investigated Kids.com, and through its network, has learned there are people who have been successful in getting their money back from Kids.com and how they did so. Some parents who filed a lawsuit in small claims court were successful; in fact, one parent who had paid $595.00 for both children scored judgments for both kids, winning both lawsuits, getting all her money back. Another small claims court victory happened for another parent, a full refund. Kids.com apparently doesn't even show up in court for any of its lawsuits, but they do pay out all the judgments. That being the case, if you are even minimally persuasive before a judge, have your documents together and your argument clear, it should be a cakewalk. It is not much more than showing up one day for maybe half an hour or less. At least two parents who contacted local media, and got them to do a story on Kids.com, got their money back, too. This happened with the Philadelphia Inquirer news report and the NBC 10 broadcast in Philadelphia. If you are in Minnesota, contact the Star Tribune. They did a story about National Talent Associates many years ago, and they would probably be more than happy to do a story on Kids.com. The media always looks good when they are working to protect children and help parents. WCCO's I-Team already did two reports, so they probably won't do another, unless there is a major development, such as a class action lawsuit. If you are in New Jersey, you can contact The Record. They did at least three stories on National Talent Associates in the '90s. Please note that this is a first-come, first-served type of situation. Most media will do one story, but probably not two, unless many months or years have passed, and there are a limited number of media outlets, so you may want to get the jump on it, ahead of other parents. There are various NJ media which can do reports on Kids.com and help you get your money back. The News 12 I-Team in NJ did two reports on a different child modeling agency other than Kids.com in March 2004, and they did a terrific job, so that is a natural choice. One mother got her money back from Kids.com after arguing with the child modeling agency. Her husband says she never loses an argument. She is smart and strong. So if you can put together a good argument, too, you could win the argument and your money back. Another parent received a refund from Kids.com by posting a critical comment on RipoffReport.com. The child modeling agency is featured on their home page over there. Kids.com keeps an eye on the comments. It is part of their damage control. She had threatened to set up a class action lawsuit against Kids.com. Apparently Kids.com did not want anyone to set up a class action lawsuit against them, so they figured out the best way to stop that from happening was to return all the money to the person leading the charge. Those are the success stories. In answer to one parent's recent question, it was noted that one of the best foundations for a refund is evidence/argument of either breach of contract or fraudulent inducement. These are, of course, legal terms. Breach of contract means that the company fails to fulfill its legal obligations. This is cause for the contract to be declared void and money returned. As far as fraudulent inducement goes, this basically means if you were misled, and because you relied on misrepresentations, you signed the contract and paid, then the contract can be declared void, and your money has to be returned to you. So then the question becomes, Were you misled by Kids.com, fraudulently induced to sign their five-year contract and pay them $595.00? What fraud, if any, resulted in you paying Kids.com? One fraud noted already and easily proved is the fraudulent marketing letter or solicitation letter. Kids.com uses the same fraud on everyone. They say your child was brought to their attention. That's fraud, pure and simple. So you can argue that you were induced to sign up under the fraudulent representation that your child had been scouted and referred to the agency. You have a copy of the letter they sent you, the evidence of the representation. You can also add to this the evidence from the Fairfield Police Report which cites the owner of Kids.com saying they bought the mailing list, a total contradiction to the written statement in the Kids.com letter. These two pieces of evidence hold water because the letter is from Kids.com and the recorded statements of a police officer in a police report are credible, and he recorded statements from the owner of Kids.com, not some low-level employee. If you wanted to take this argument a step further, or develop it with more evidence, consider the lawsuit against National Talent Associates by the Division of Consumer Affairs. They took action against NTA for its misleading, fraudulent letter which also misled parents to believe their kids had been seen/scouted/referred before receiving the letter. So that is for fraudulent inducement with respect to statements made. But there is also fraudulent inducement in terms of statements left out or material information omitted. Lies of omission, essentially. The second fraud question about Kids.com then, is, Were you misled by Kids.com, fraudulently induced to sign their five-year contract and pay them $595.00, because of something or some things they deliberately did not tell you? Deliberately withholding critical facts is fraud. It is well-known that Kids.com fails to tell parents before they sign the management contract and pay money that the chances of their kids actually getting paying work through Kids.com worth $595 or more is ridiculously small and their business model is a duplicate of National Talent Associates's, the biggest child model scam in world history, and that the federal government took action against this child model agency for its deceptive and unfair trade. The original legal action by the federal government had to do with material omissions by NTA, i.e., the agency not telling consumers how few of its members (kids) actually received paying work. The settlement between the government and NTA then required the agency to provide material information in writing such as its 99.9% failure rate. 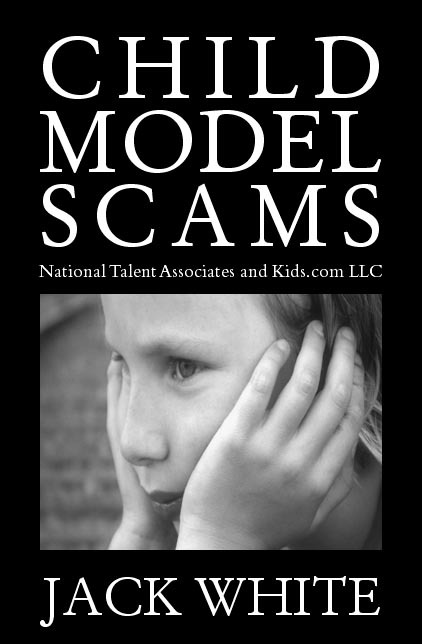 In addition to fraud, to answer parents' questions about refunds further, there is a virtually uncontested legal argument that Kids.com operates a child modeling agency without an employment agency license. This legal claim has already been made against NTA by the government. This could not only make the Kids.com contracts null and void and unenforceable, but also, you can argue, make the associated fees illegal. The argument is that if a business is de facto illegal, and every employment agency operating without an employment agency license is illegal, then any and all its contract are illegal, because they are part of its business. Furthermore, no agency is allowed to charge upfront fees, so even if the contracts were not void and the sales not illegal based on the fact the agency did not have an employment agency license, the fees would still be illegal because no advance fees are allowed. This argument enforces law in New Jersey and Illinois. Easy Background Check has obtained copies of some Kids.com financial records, which indicate some parents pay the entire fee by credit card. It is possible, depending on the criteria set by your credit card company, to get a chargeback. Typically they want some kind of proof of fraud. With all the information on this site and on the internet, it should not be very difficult to provide the cc company the information they need. Finally, there are various parents who have written who do not just want their money back, they also want to stop this company from its outrageous, nationally embarrassing, 39-year-old scam against children and parents. If you are like-minded, and want to join them, you are welcome to write. It is very important to stop this child modeling scheme that you, as a parent, file a complaint with the New Jersey Division of Consumer Affairs. The reason why this scheme continues is because people keep filing complaints with the Federal Trade Commission. That is a very bad idea, because parents already tried doing that, but it did not stop the NTA scam for 31 years! The FTC is very slow and rarely acts. It can take them 10 years to get their act together. Even when it does act, the FTC can only enforce a weak settlement or vague deceptive and unfair trade laws. It is called a toothless tiger. It's a joke. It took them 31 years to shut down National Talent Associates (they couldn't even do that on their own, they needed help from the DOJ), and then they let the scheme start up again under a new name immediately afterwards! Indeed the FTC has already received about 250 complaints (500 complaint form pages) of complaints against Kids.com, but they still have done nothing. The New Jersey Division of Consumer Affairs (NJ DCA), on the other hand, can enforce extremely strict state laws. But they won't do that unless parents complain DIRECTLY TO THEM. At last count, they had only received 4 complaints to the FTC's 250 complaints. You would think that the various government agencies would work together, and act together, and share their complaint records, but they may not be smart enough. The fact is the NJ DCA did not take action against NTA in 1999, it was only the FTC. That was because the FTC received virtually all the complaints while the DCA received only about 9. Most government agencies don't recognize a scam, or don't do anything, until they keep getting complaints, at least 25 complaints. The volume sets off alarm bells and provides enough evidence to act. Complaints filed with the DCA are completely confidential, whereas complaints filed with the FTC are not. The FTC is not allowed to release your name, but they can release the name of the city of the person filing the complaint. There is some value in filing a complaint with the FTC, but your priority should be filing with the NJ DCA, the Attorney General in your state, and then the FTC, in that order. Even if you are not in New Jersey, still file a complaint with the NJ DCA. That is where the scheme is based. You should also write a personal complaint letter to Kimberly S. Ricketts, Director, New Jersey Division of Consumer Affairs, asking her to protect children and deal with the fraud against so many kids. NEW WEB EXCLUSIVE: Kids.com LLC Financial and Tax Records. If you paid Kids.com, and want to see where your money went, and how much Kids.com is making, including its Gross receipts or sales, email. If you are an accountant, please email to evaluate and give your opinion. The files are in .pdf. You have to see some of these numbers; they are staggering! They claimed, for example, $112,918 for "Auto" in a single year. Also available: the Kids.com General Ledger Activity Report (see sample below). Mercedes-Benz lease payments monthly, apparently for three different Mercs ($649.00; $605.37; and $635.64). Did your children's money finance expensive toys for the Scheming Bagwells? (WCCO) They sell parents a chance to get kids into modeling, but many parents are saying Kids.com rarely delivers. Three years after the I-TEAM exposed the company, the doors are locked and the phones disconnected. Kids.com markets itself as a personal management firm for kids. For a hefty fee, it promises to post children's pictures on it's Web site and then deal with anyone who contacts them to book the kids for jobs. Jodi Yanz paid $600 to Kids.com to be the personal management company for her son Max, because she thought it would be a good investment. "Like we'd get all these jobs for him. Its a 5-year-contract, so within 5 years we'd for sure make up the money it cost," said Yanz. Max did get one job but "that was actually through Caryn Agency," Yanz said. Just days ago, Yanz took Max in to a photographer to update his picture for the Kids.com Web site. "She won't do pictures anymore because she sends pictures of kids (to the company) and it bounces back -- their e-mail bounces back -- so she can't even get a hold of them," said Yanz. It seems no one else can get in touch with them either -- by phone or in their Edina, Minn. office -- which is locked tight with packages waiting from days ago outside the door. 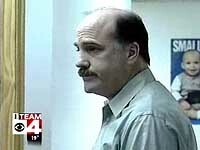 When WCCO-TV tried to talk to kids.com owner Larry Bagwell 3 years ago in Chicago, he said: "I'm busy now. I'm in interviews. I do have your number. I'll call you when I'm ready ... I'm busy." "I don't understand how they're allowed to operate like that," said Yanz. "It makes me pretty angry because we can use $600 in a lot better ways." The Better Business Bureau tells me they believe Kids.com has been closed down since at least Sept. 10. They are now working to determine if the company filed for bankruptcy. Most agencies only make money when they book the child for a job, and then they take a percentage of the pay. Some agencies do charge a fee if you want your child on their Web site, but never as much as $600. With five offices nationwide, Kids.com has consistently provided the industry with children meeting the exact requirements of Directors for print ads, TV Commercials, Soaps, Motion Pictures, Voice-Overs, Theatrical Productions, Industrial Films, etc. Our assignment coordinators handle thousands of calls per week, ensuring a timely response to each and every placement request. Our group of seasoned professionals are dedicated to service. It is our single purpose to do everything we can to see that our kids have every opportunity to succeed and that the best companies in the world have the finest children to represent them.